With the new board getting the club on an even keel off the pitch, hopes on the pitch are high - fuelled by impressive pre-season draws against Champions League opposition Fenerbah�e and Steaua Bucharest, and an excellent display on the opening day against Tranmere. A run of five successive home defeats follows though, and the season is marred firstly by a string of goalkeeping and defensive howlers, and then by a succession of last gasp goals conceded. As a result, the Town again find themselves in a relegation battle, and the fans' attention quickly turns to manager Malpas. Just as the league form seems to make a turn for the better though, an FA Cup defeat at non-League Histon is followed by a JPT reverse at Brighton, and chairman Fitton relieves him of his duties. 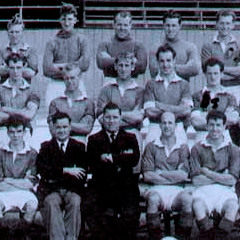 It takes the Town six weeks to appoint a replacement - eventually opting for Danny Wilson as the new man in charge, and he attempts to plug the leaky defence - at the other end of the pitch, Simon Cox nets a total of 32 goals in all competitions, breaking the post-war club record for goals in a season, and also becomes the first Town player to net three hat-tricks away from home in a single campaign. Wilson brings in three significant loan signings - Gordon Greer, Hal Robson-Kanu and Owain Tudur-Jones, which pays dividends throughout March - with three games won on the bounce to pull the Town out of the drop zone, they eventually secure their League One status on the penultimate day of the season. A year more significant for events off the field than on it - the season starts with news of a new takeover, with Portuguese suitors BEST Holdings being unveiled as the new owners elect in August. Despite BEST making three signings, the prolonged takeover falls through in October, when the Adver reports that the deal would have cost up to �18 million - the club's board bizarrely suggesting that �8 million of which was suggested by BEST themselves, whereas BEST later stated that the late amendments to the deal were the cause of collapse. The revelations spark protests by the fans - with an overdue CVA payment from the second period in administration, and no prospect of a third, the club looks to be on the brink of oblivion. Amidst the turmoil, manager Paul Sturrock leaves the club to return to Plymouth - and liquidation looks even more likely in December, when another deal with local businessman Andrew Fitton also collapses - again due to late amendments to the deal by the board. With the club admitting that time was running out, the Fitton deal is revived - and the deal is eventually done in December, before being completed in January. Fitton's first task is to replace Sturrock - and he surprisingly appoints Maurice Malpas as the new boss. Malpas sets the play-offs as a target - but the decision to appoint him is almost immediately questioned by some fans, when the Town suffer a mid-season downturn in form - the end of season focus is on avoiding getting dragged into a relegation battle, rather than a promotion one. The Town embarrass themselves in the FA Cup - missing four penalties in a shootout at Barnet - but three wins and a draw in April silence the doom-mongers, as Swindon finish the season in a healthy 13th position. Despite a topsy-turvy season off the field, Swindon bounce back to the third tier at the first attempt, finishing in third place in League Two. With new investment coming into the club, Onuora is sacked and replaced with ex-England international Dennis Wise, and the new look team start well, winning all of the first six games. Wise's reign lasts only until October though - after a boardroom rift between the old owners and the new investor, he leaves to join Leeds, with the Town having been caught by the chasing pack. The board replace him with Paul Sturrock, recently sacked by Sheffield Wednesday - and though the decent form continues to start with, by March it looks as though the Town are starting to lose ground. Sturrock turns things around on the loan transfer deadline though - signing five players, which allows him to change the team's structure - and they lose just one of the last eight. A nailbiting last match of the season sees the Town play champions-elect Walsall, needing a point to secure promotion - and a first league goal by defender Jerel Ifil sets Swindon on their way to a 1-1 draw that wraps it up. As expected, Sam Parkin is sold prior to the big kick-off, but he is replaced with a new strikeforce of Jamie Cureton and Tony Thorpe, both of whom join from Q.P.R.. Both strikers have disappointing starts to their Swindon careers, and the Town slump to the bottom of the table early on, setting a club record of eight straight defeats that comes to an end in October, but the Town soon find themselves seven points from safety. 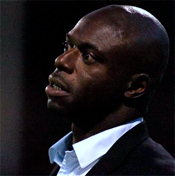 The run brings to an end the reign of Andy King - who is sacked in September, being replaced by ex-player Iffy Onuora, who is promoted from the youth setup. Gradually, results begin to improve, and despite the sale of top scorer Rory Fallon to Swansea, the team seem to start to turn it around in February - when a run of three wins in four matches propels the Town right up to 16th place - though in an extremely tight division, they only sit one point from the relegation zone. A home defeat by fellow strugglers Rotherham, then a 7-1 hammering at Forest soon brings the Town back down to earth, and failure to beat either Hartlepool or the MK Dons costs Swindon dear. Relegation is confirmed at Ashton Gate, when needing two wins from their final two games and other results to go their way, Swindon can only manage a draw - and they slip into the bottom tier of the League twenty years after vacating it, becoming the first club that has played in the Premiership to fall to the lowest division. 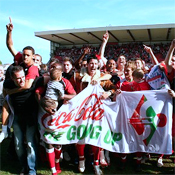 A change in the league structure sees the third level renamed as "League One", the old Division One now being known as the "Championship". With much the same squad as last season, the Town are expected to challenge again - the only notable exception at the start of the season is last season's player of the year, Tommy Mooney, who shocks the fans by joining local rivals Oxford United. Amid rumours of discontent behind the scenes, captain Andy Gurney soon leaves the club as well, and though Swindon flirt with the play-off places early in the season, inconsistency soon puts paid to any dreams of promotion. The Town seem to make a habit of squandering two and three goal leads, but also amazingly come back from 2-0 down with twelve minutes to go to beat Sheffield Wednesday 3-2. The FA Cup campaign ends in embarrassment - after conceding a last minute equaliser in a second round tie against League Two side Notts County, the winners are drawn against Premiership Middlesbrough, but Swindon put in an abysmal performance in the replay, getting beat 2-0 in front of the Sky TV cameras. Much is expected in the LDV Vans Trophy as well - when the Town reach the regional semi-final stage, they are the only League One side left in the competion - but another poor performance results in defeat at eventual finalists Southend. The league campaign is all but ended in March and April, when two six pointers with promotion chasing Bournemouth and Hartlepool both end in 3-0 defeats, and Swindon are condemned to a disappointing mid-table finish. Nine new signings before the season starts heightens the fans' optimism, and the Town begin well - spending the early months of the season in the play-off positions. They also manage to scare Leeds in the Carling Cup - taking a two goal lead before England international goalkeeper Paul Robinson scores a dramatic injury-time equaliser, and the Town eventually go out on penalties. A six game losing streak in October prompted a slide down the table, and shortly after Christmas, the Town found themselves in a lowly 14th position. A win over Brighton kick-starts a run of nine wins in eleven games, and in a very tight division, it's enough to cement a play-off place. Here, the Town have no luck at all - after dominating the first leg of the semi-final, Brighton steal a one goal victory - and in the second leg, Swindon equalise, and go ahead in extra-time - before conceding another injury-time equaliser, and missing out on a trip to Cardiff on penalties. After a bright start, the Town lose seven on the bounce, breaking the club record for consecutive defeats. Under extreme pressure, King somehow manages to hold onto his job, in spite of the board interviewing potential candidates Mel Machin and Jan Molby, and calls from the fans to reappoint Lou Macari. A 6-1 win over Southend in the LDV Vans Trophy triggers an improvement in results - and the Town eventually finish in a respectable 10th position, albeit 21 points off a play-off place. Off the pitch, the Town come out of administration, and a long standing legal battle with Ruddock is settled - he leaves the club in December, having not played for over a year. A mad pre-season sees Brady walk out on the club, with Danny Donegan continuing as chairman - and controversially, he sacks King just weeks before the start of the season. Roy Evans is appointed as manager, with ex-England international Neil Ruddock joining him as player-coach. The football improves - but then, the previous board takes the club to court - citing the fact that Donegan was not legally installed as chairman. The court agrees - and Donegan leaves the club, with Willie Carson voted in as the new chairman, as head of the new consortium. The true financial state of the club is revealed, and the club becomes the first in history to go into administration for a second time - and Evans leaves, deciding that he can't take the club forward with no money. With rumours that the Town can't afford his pay-off, Andy King is reinstated as manager to the fans' disgust - but despite all this, the Town finish in a respectable 13th position. Colin Todd's reign is hailed as a new era for the Town, and the fans' hopes for the new season are high. Todd creates a completely new team - releasing nine players, and bringing nine new faces in before the season starts. He makes a further three signings early on - but the dreams soon turn to nightmares when, with the Town struggling at the wrong end of the table, and having scored just ten goals in the twelve league games he has been in charge for, Todd leaves the club to become assistant manager at Derby. 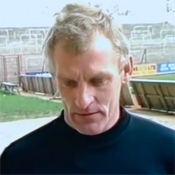 Todd's own assistant, Andy King, is handed the reins, but the Town continue to struggle - and thanks to a last-minute wonder goal from Danny Invincibile in a must-win game at home to Peterborough, they go into the last week of the season just four points clear of relegation, but having played two games more than Bristol Rovers. Amazingly, Rovers throw it away - losing their two games in hand at home to Port Vale and Wycombe, and after a last day hammering at Stoke, Swindon avoid a successive relegation by a single point. A disastrous season - almost bankrupt, the club go into administration, and players are sold on the cheap left, right and centre - no fewer than eight first teamers leave the club during the course of the season, the biggest fee being commanded by George Ndah, who goes to Wolves for �1m. Even 40-year-old manager Quinn is forced to don a Town jersey again - but the writing is on the wall very early on, and the Town spend the whole season rock bottom of the table, and are relegated to Division Two. Still, there is light at the end of the tunnel - a consortium headed by business tycoon Terry Brady takes over the club, they come out of administration towards the end of the season, and new plans for a stadium on Swindon's Front Garden are announced. Despite having an impossible task, Quinn is harshly sacked, but with respected ex-Bolton manager Colin Todd taking over the managerial role within days, the fans are quickly appeased, and the club looks to be saved from the threat of liquidation. 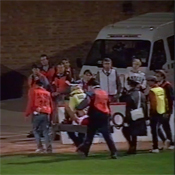 A bad start to the season compounds the fans' loathing of McMahon, and a 4-1 defeat at home to Watford in September proves to be the final straw - an on-pitch protest results in McMahon leaving the club by mutual consent. Ex-Town favourite Jimmy Quinn is appointed as the new manager, and he guides Swindon to safety, finishing in 17th position. The Town start the season brilliantly, and a televised away win at Portsmouth at the end of October puts them on the top of the table. It's all downhill from there though - after hammering Oxford 4-1 in December, Swindon suffer an even worse slump than in the previous season - just three more victories are recorded in the remaining 26 league games, and the Town are embarrassingly dumped out of the FA Cup at home to non-league Stevenage. They finish the season in a lowly 18th position, and the pressure on McMahon to resign is immense, but he refuses to go, and chairman Rikki Hunt refuses to sack him. Swindon adjust reasonably well to life in Division One, and seem set for a respectable mid-table finish. However, Kevin Horlock is sold to Manchester City for a club record �1.5 million in January, then, after beating Charlton at the County Ground in March, just three more goals are scored in the remaining eleven games. The Town are also on the wrong end of a few hammerings - losing 7-0 at Bolton, 5-1 at Oldham, and 4-0 at home to Ipswich before the season is out, and they finish in 19th position, eight points clear of the relegation zone. 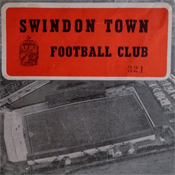 With the Town now in Division Two, expectations for the season are high - and Swindon don't disappoint, storming to the championship and losing just four games in the process - a club record. The away form is fantastic - Swindon winning thirteen of their away games (another club record), and also winning the Yokohama Tyres "Performance on the Road" award. Three more club records are smashed - for the most away league points in a season, the fewest away defeats, and the fewest away goals conceded. Back in Division One, two of the stars of the previous season are inevitably sold - John Moncur joining West Ham for �1m, and Nicky Summerbee going to Manchester City for �1.15m. Nevertheless, Swindon are expected to mount a promotion challenge - and they seem prepared to do so, breaking the club record transfer fee to bring in Joey Beauchamp from West Ham for �800,000, and Mark Robinson from Newcastle for �600,000. Fj�rtoft begins the season where he left off, banging in nine goals in the first eleven games, but the Town then go on a run of no victories and five defeats in six games. 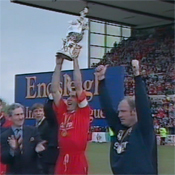 Gorman is relieved of his duties as manager, and Steve McMahon is brought in as his replacement. 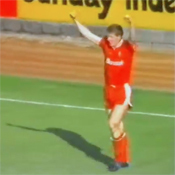 An excellent run to the semi-finals of the Coca-Cola Cup masks the club's form in the league - just two wins in 22 games - McMahon is sent off on his debut, and when Fj�rtoft is sold to Middlesbrough on transfer deadline day for a scandalous �1.3 million, the goals dry up. 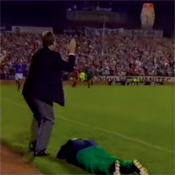 Despite Jimmy Greaves' claims that the Town are too good to go down, a second successive relegation is confirmed when they are beaten at home to Portsmouth, and McMahon is quoted as feeling "lower than a snake's belly". After the departure of Hoddle, the Town are rocked further when out-of-contract skipper Colin Calderwood agrees to move to Tottenham, with a tribunal setting the fee at a record �1.25m. Striker David Mitchell also leaves, invoking a clause in his contract to move to Altay in Turkey. New manager John Gorman tries to fill the gaps, spending a record �500,000 on Norwegian international Jan-�ge Fj�rtoft from Rapid Vienna, and another �500,000 on Adrian Whitbread from Leyton Orient. 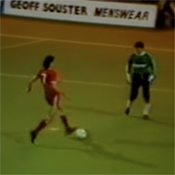 The writing is on the wall very early on though, Swindon failing to win any of their first fourteen matches, and Fj�rtoft failing to settle - not scoring until January. The Town are also on the receiving end of a few hammerings - conceding four against Arsenal., five against Liverpool and Southampton, and six at Everton. Just as Fj�rtoft is on the verge of a loan move back to former club Lillestr�m, he finally nets in an FA Cup tie at Ipswich, and injuries force him back into the first team line-up. Suddenly, he catches fire, scoring against Tottenham, then bagging at hat-trick against Coventry - and hopes are raised that maybe the Town can pull themselves out of trouble, as they sit just two points from safety with ten games left. They're soon brought back down to earth though, losing 5-0 at Aston Villa, and when injury-hit Town concede seven at Newcastle, they begin to get marooned at the bottom. 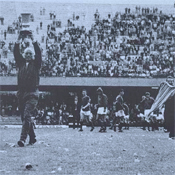 They win just one of their last fourteen games, 3-1 at Q.P.R., by which time relegation is confirmed, and their ignominious failure is made worse on the final day of the season, when they lose 5-0 at home to Leeds, goals which make Swindon the first team in thirty-one years to concede 100 goals in a season in the top flight. The new FA Premier League begins, so the Town start life in Division One - and Town fans joke that after the demotion two years previously, that's where they deserve to be anyway! They don't have to wait long for their first taste of top flight football though - Swindon start the season well, and a superb win at fellow promotion chasers West Ham in November puts them into the automatic promotion slots. They lose touch with the leaders through a bad spell in December and January - and though their brand of one-touch football impresses the television viewers, they fail to win any of their featured league games. Six wins from seven around February cements their place in the play-off spots, and their place is virtually assured when they come back from 4-1 down to beat Birmingham 6-4 at St. Andrews. Finishing fifth, their first play-off game is at home, and they start brilliantly, scoring twice in the first three minutes, and again before half-time to take a three goal lead against Tranmere, who get one back before the end of the first leg. Rovers win their home leg 3-2, but the Town go through to Wembley again, winning 5-4 on aggregate. 35,000 Town fans make the trip to the Twin Towers for the final against Leicester, and the biggest Football League attendance for decades, 73,802 (more than turn up for the FA Cup Final replay), watch the Town beat Leicester. In a nail-biting encounter, the Town take a three goal lead with goals from Hoddle, Maskell and Taylor - but Leicester fight back and draw level in a 13-minute goal blitz. 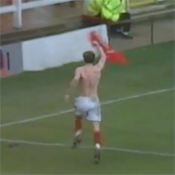 Just as it looks as though Swindon have thrown it away, substitute Steve White goes down in the box to win a controversial penalty, Paul Bodin slots it home, and the Town are promoted to the top flight, with no fears of their prize being taken from them. Just days afterwards though, manager Glenn Hoddle leaves to take the Chelsea job - and his assistant, John Gorman, takes over as manager. Hoddle's first full season in charge sees a complete change in fortune - Duncan Shearer scores all four in a 4-0 win at Plymouth, and a draw at Charlton in November puts Swindon at the top of the table. Unfortunately though, a run of two defeats and then six draws on the bounce sees the Town slip out of the play-off places, and though they make their way back up the table, four defeats in early March put them just off the pace. Moneybags Blackburn then attempt to put a huge dent in the Town's promotion push - making an offer of �800,000 for 32-goal Shearer - and it's an offer that cash-strapped Swindon can't afford to refuse. Shearer leaves, and the Town manage just seven goals in the nine games following his departure, finishing in eighth place. Blackburn sneak into the play-offs and are eventually promoted - and having played just six games for Rovers, Shearer is sold on to Aberdeen before the start of the new season. The Town suffer a hangover from the events of the previous season, and despite high expectations, it soon becomes apparent that it's a relegation battle, not a promotion one, that the Town are involved in. Skipper Colin Calderwood suffers an injury early on in the campaign, and the Town miss him badly - their home form completely deserting them - and when then on-loan Argentinian World Cup star Nestor Lorenzo nets on his debut against Portsmouth in February, it is the Town's first home goal in 419 minutes of football. The demotion and fines involved also have an implication on the club's finances - and last year's hero, Alan McLoughlin, is sold in Swindon's first �1 million deal in December. Ardiles then breaks the transfer record to sign Lorenzo on a permanent deal for �400,000 from Italian club Bari - but more sales are needed before the end of the season, and both Paul Bodin and Jon Gittens leave in big-money deals before transfer deadline day. When Swindon beat managerless Newcastle at the end of March, rumours are rife that Ardiles is on the verge of quitting, and a day later he resigns to take over at St. James' Park. Ex-England international Glenn Hoddle is installed as the new manager - but with the defence decimated by the new departures, they win just two of their last eight games, the last of which, a 5-2 defeat of Leicester at the County Ground, is enough to save them from relegation. 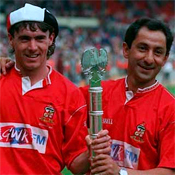 Macari is replaced with ex-Argentinian international and World Cup winner Ossie Ardiles - but the club is rocked with a bombshell just three weeks before the season starts, when The People publishes revelations that chairman Brian Hillier put money on Swindon winning Division Three in 1987, as an insurance policy for player bonuses. The allegations seemed to affect performances on the pitch - and the Town win just one of the first seven games, and are 21st in the table. Eventually though, Ardiles' passing style and diamond formation begin to work, and they drop just four points in the next nine games - despite the sale of Phil King, who is surprisingly bought by Sheffield Wednesday for a record �400,000. The allegations then get worse - and Hillier is accused of putting money on the Town to lose in the FA Cup game at Newcastle two years previously. When he is found guilty, he is banned from football for six months - which is increased to three years on appeal. Macari is fined �1,000 for his part in the scandal - and when he chooses to appeal, West Ham force his resignation. Swindon's performances again suffer, and they pick up just two points in the five games that follow the announcement. A decent start to the year puts Swindon back on track, but The People deliver a third blow, this time alleging illegal payments to players. Despite the turmoil though, the Town beat table-topping Leeds to go into third place, and at the end of the season, they finish fourth - their highest league position ever - to go into the play-offs. 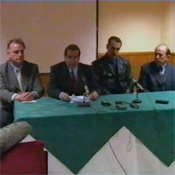 Shortly before the last game of the season, another bombshell hits, when Hillier, Macari, captain Colin Calderwood and secretary Vince Farrar are all arrested and questioned by Inland Revenue officials over a tax fraud conspiracy. Calderwood is released without charge, and the others are given bail - on the pitch, the Town go on to defeat Blackburn over two legs to reach the final at Wembley, where they will play for only the second time in their history. 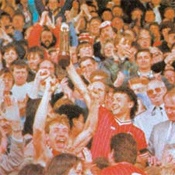 In a match they completely dominate, Alan McLoughlin scores the only goal - a deflected effort - to defeat Sunderland and win promotion to the First Division. The joy is short-lived though, as just ten days later, the Football League decide to demote the Town two divisions, after they admit 36 breaches of League rules - 35 of which are related to illegal payments. 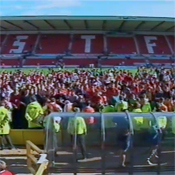 The Swindon board immediately appeal, but High Court action is dropped due to lack of funding - and the fans protest, thousands signing a "1st not 3rd" petition. The FA Appeal Panel reduce the demotion to just one division, and Swindon are denied their first-ever taste of top flight football. 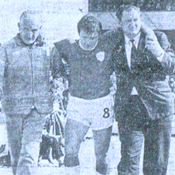 Hillier was eventually jailed, Farrar and former club secretary Dave King received suspended sentences. 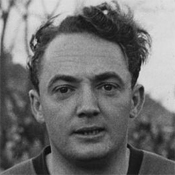 Macari breaks the club transfer record to replace Quinn, by paying Huddersfield �250,000 for Duncan Shearer. Once again Swindon push for promotion - after winning just four of the first sixteen games, they lose just two of the last nineteen, and sneak into a play-off position - finishing sixth. 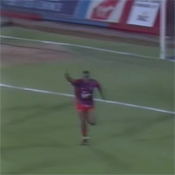 They meet Crystal Palace in the play-offs, but after winning the first leg 1-0 and being denied a hotly disputed disallowed goal, the Town are turned over in the second leg, when goals from Ian Wright and Mark Bright secure a 2-1 aggregate win at Selhurst Park. A second disappointment follows just six weeks later, when, after years of speculation linking him with other vacant positions, manager Lou Macari finally leaves to take over at West Ham. A season of consolidation, Swindon finish up in a healthy mid-table position in the league, ending up in 12th position. A Gazza-inspired Newcastle dump the Town out of the FA Cup, winning 5-0 - a result which would come back to haunt Swindon two years later. Jimmy Quinn bangs in 31 goals in all competitions, but can't be persuaded to stay at the end of the season, and he leaves for Blackburn for �210,000. After drawing six of their last eight matches, the Town finish third in Division Two, and are forced down the newly-introduced route of the play-offs. A 3-2 aggregate win over Wigan in the semi-final sees Swindon on their way - but they look like they're beaten in the final, when Gillingham take a two goal aggregate lead early in the second leg. With half an hour remaining, Peter Coyne reduces the deficit, and Charlie Henry equalises with just twelve minutes left - sending the tie to a replay at Selhurst Park. Two goals from Steve White are enough to book the Town's place in Division Two, and a second successive promotion. An amazing season - after taking just five points from their first eight games, the Town go on to break seventeen club records and win the Fourth Division championship. 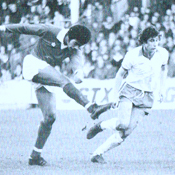 Victory over Burnley in March seals a 14th consecutive home victory, and promotion is won with seven games to spare, when the Town beat Chester in an fiery encounter. The championship is wrapped up just three games later with a draw at Mansfield, and goal from Peter Coyne seals a 1-0 win over Crewe on the last day of the season - a victory which takes the total points for the season up to 102 - a new league record which isn't broken for thirteen years. A sponsorship deal is made with insurance company Lowndes Lambert - and as part of it, they insist on the appointment of a big-name manager. 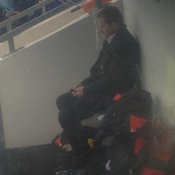 Ken Beamish is offered a scouting position, which he refuses - and he leaves the club. Former Scottish international Lou Macari is named as the new man in charge, with Harry Gregg appointed as his assistant. 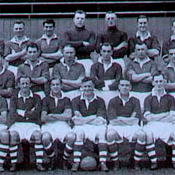 His first job was to build a new team - there were just nine professionals on the books, but though he made a couple of signings, he allowed the existing squad to prove themselves - until the Town are knocked out of the cup by Dagenham, the first time since joining the league in 1920 that Swindon have lost at home to non-league opposition. Macari begins to make changes, bringing in Chris Ramsey and David Cole, plus four other loan players - and results begin to pick up. Unbeknown to Town fans though, his relationship with Gregg is strained to say the least - and the board take a harsh line, sacking them both on Good Friday. 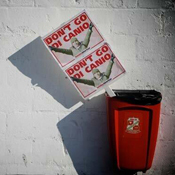 The sackings spark a protest from Swindon fans to get Macari reinstated, and they succeed - he rejoins the club just five days later. The Town finish in a healthy eighth place - and Macari brings in seven new players before the start of the following season. 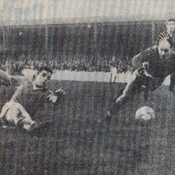 The sale of Rideout leaves the Town lacking in firepower - only the returning Alan Mayes manages to get into double figures in the League - though the signing of Jimmy Quinn offers hope for the future - he scores a brace in a 7-0 demolition of Kettering in the FA Cup. The cup run is the only bright point of the season - Swindon knocking out Second Division Carlisle in round three, before succumbing to Blackburn in the Fourth Round. The League form wasn't good though, and the Town ended up in 17th place - their lowest ever league position, but the lack of funding looked to have persuaded the board to keep Beamish in the hot seat, as he is offered another year's deal. A mid-season run looks to have put the Town in with a shout of promotion - and going into the Christmas period, they sit in second place - two points behind leaders Bury, with a game in hand. They crush Aldershot 7-0 in the cup, but suddenly things take a turn for the worse - a run of six defeats and a draw triggers a demonstration by the fans - and John Trollope is relieved of his duties, returning to his previous youth team role. A player, Ken Beamish, is given the chance to take over, and he steadies the ship - consolidating an eighth place finish for the Town, and securing a year's contract for himself. At the end of the season, financial problems force the sale of Paul Rideout, who signs for Aston Villa for a record �175,000 - which is eventually increased to �250,000 after a number of first team appearances. The League introduces three points for a win, instead of two - but it does little to help the Town, who spend the entire year in a relegation battle. In financial difficulties, the club's record signing, David Peach, is released on a free transfer to reduce the club's wage bill, after a disappointing period at the County Ground. The Town are knocked out of the League Cup at the first hurdle, and only get to the Third Round of the FA Cup by virtue of meeting non-league opposition in rounds one and two - and in mid-April, they are five points short of safety. A run of four wins in six games raises hopes, but the Town travel to fellow strugglers Newport on the final day of the season, needing a win to stay in the division. Rideout hits the post in the second half, but that's the closest that Swindon come to a goal - and a late penalty seals their fate. Just twelve years after looking like being promoted to the First Division, Swindon are relegated to the Fourth for the first time in their history. 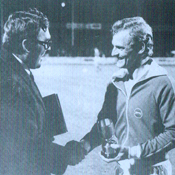 After becoming the youth team manager, and missing the whole of the prior season, a terrible start sees a recall for John Trollope to the Town's line-up, and he goes on to make his 770th league appearance for Swindon - a Football League record. The Town are thumped 5-0 at Liverpool in the League Cup - and they as sit in the relegation zone, manager Smith is sacked, despite a home win over Huddersfield. Trollope is persuaded to take over - and he finally retires from playing to concentrate his efforts on saving Swindon from relegation. 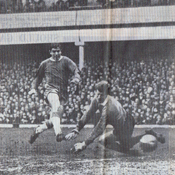 After the sale of Alan Mayes to Chelsea for a club record �200,000, Trollope brings youngster Paul Rideout into the side - and he scores on his debut, becoming the youngest player and goalscorer in a League match in the Town's history. In the end, Swindon narrowly avoid relegation - a 0-0 draw at Brentford on the last day of the season finally securing their Third Division status. A good run of results puts the Town in the promotion hunt again - and an 8-0 win over Bury in December catapults them into the top three. Meanwhile - Swindon go on another run in the League Cup - and they draw 1-1 with Arsenal at Highbury in the Fifth Round to bring them to the County Ground for a replay. 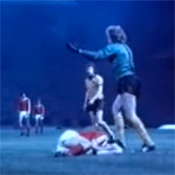 They go 3-1 up, but the Gunners peg them back to 3-3, before a goal from Andy Rowland five minutes from time puts the Town through to the semi-finals, where they meet Wolves. 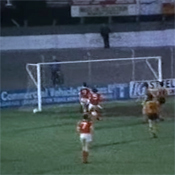 A late Alan Mayes goal puts the Town 2-1 up on aggregate in the first leg - and they appear to go further in front at Molineux - but Billy Tucker's goal is controversially disallowed. Wolves then score two in quick succession to go ahead - but a terrible foul from Wolves keeper Paul Bradshaw hands Swindon a penalty. Ray McHale converts the spot kick, but the foul leaves Mayes with a badly gashed eye, which needs stitches. With just five minutes to go, Wolves score again - and they win 4-3 on aggregate, dashing the Town's dream of Wembley. The game seems to have an effect on performances, and Swindon go on a run of just three wins in eighteen games, and nine away games are lost on the trot - so manager Bob Smith tries to turn the tide with a couple of big-name signings. Firstly, he smashes the transfer record to bring David Peach to the club for �150,000 from Southampton, then he signs Glenn Cockerill for �100,000 from Lincoln. They make little difference - and the Town end up in tenth place. Arguably the most amazing season in the club's history, the Town don't only gain promotion to Division Two, but they also win their first major trophy, winning the League Cup. The season starts reasonably well, Swindon not conceding a goal in their first six league games - but the impending League Cup success is hardly predictable, as they struggle to see off lowly Torquay in the first round. Swindon also go two down in the Second Round replay with Bradford, before coming back to win 4-3 - and then are lucky to see off Blackburn. Despite losing John Trollope to injury (thus bringing an end to his 367 consecutive appearances), the league campaign goes from strength to strength - with the Town winning seven in a row to top the table going into November, whilst disposing of Coventry and Derby to set up a League Cup semi-final clash with Burnley. The Town win the first leg at Turf Moor by two goals to one, but look to have thrown it away in the second leg, when Burnley take a two goal lead. 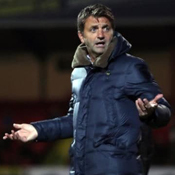 Swindon equalise though, to take the game to a replay, played at The Hawthorns. Winning 1-0 with just seconds remaining, Burnley equalise to take the game into extra time, and then, in the first minute, they score again to take a 2-1 lead. Amazingly though, the Town claw themselves back again, with two efforts from Noble (one later given as an own goal) booking their place at Wembley. Unlike previous seasons, the cup run didn't seem to affect the Town, and they remain unbeaten throughout January and February, at one point winning five games on the bounce without conceding a goal. Then, on March 15th, came perhaps the greatest day in the club's history. Facing the mighty Arsenal at Wembley, on a pitch more suited to mud-wrestling than football, they shock the football world by taking the trophy - firstly taking the lead through Smart in the first half, then, after a late Bobby Gould equaliser sends the game into extra time, two goals from Don Rogers - the second oozing quality - takes the cup to Wiltshire. Still though, the season isn't finished - and the Town fail to lose any of their final nine games - a draw at Rotherham on 2nd May confirming their promotion to the Second Division, and they missed out on the Championship on goal average. Rogers once again bags 25 league goals, and though his form begins to alert the attention of bigger clubs, his transfer request is rejected. Despite being just three points behind the leaders at the halfway point of the season, another cup run seems to distract the players from the league programme - and though the Town lose less games than promoted Bury, they also register the highest number of draws since they joined the league, and finish in 10th place. 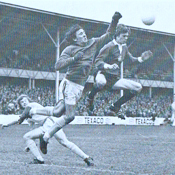 Despite Don Rogers' 25 league goals, the Town have another inconsistent season, and finish 8th. 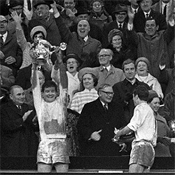 However, they once again prove themselves to be great cup giant-killers - after drawing 3-3 with West Ham, complete with their three World Cup winners, at Upton Park, goals from Willie Penman, Rogers and Ken Skeen help the Town to a miraculous 3-1 win over the Hammers. 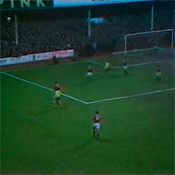 They eventually go out in a Fifth Round replay on neutral ground at Villa Park, having twice drawn with Nottingham Forest. Rotherham manager Danny Williams is appointed as Bert Head's successor, and his first job is to replace two stars, as both Mike Summerbee and Ernie Hunt are allowed to leave following the club's relegation - Summerbee for �31,000, and Hunt for a record �40,000. Despite the departures, the Town start well, and after a 3-0 win at Workington in mid-September, they briefly occupy the top spot. 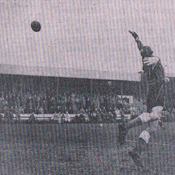 Towards the end of the year, the Town go on the rampage, scoring five or more goals on five separate occasions - Keith East is the major beneficiary, firstly scoring four in a cup tie against Merthyr Tydfil, and then the following week, he becomes the first player since Harry Morris to score five in a game, in a 6-2 win over Mansfield. 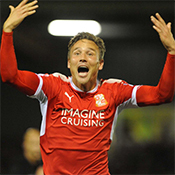 Swindon are too inconsistent to mount a promotion challenge, though, and the tables are turned in April, when they fail to score for five matches, and they end up in seventh position. 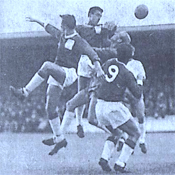 Swindon open the season with a disastrous 6-1 reverse at Bury, in which the Town's keeper, Norman Oakley sustains a cracked collarbone. The opening game reflects the season as a whole - with injuries to key players such as Norman McPherson and Ernie Hunt upsetting the Town line-up. Bert Head makes two big signings in a bid to reverse the situation - first signing ex-Scottish international goalkeeper Frank Haffey for �7,650, and then breaking the club's record to bring Dennis Brown in from Chelsea for �15,000. A run of five defeats in a row in November and early December sees the Town slip into the drop zone, and they remain in the relegation dogfight for the remainder of the season - and they go into the final game needing a win to stay in the division. When they lose 2-1 at Southampton, Portsmouth, playing that evening, know they only need a draw at already promoted Northampton to save themselves - and they draw 1-1, thus relegating the Town back into Division Three. Despite being the first Town manager to win promotion, Head is rather harshly given his marching orders. The Town adapt to life at the higher level brilliantly - winning seven and losing none of their first nine games, and going in to October, they sit proudly at the top of the table. They remain in the promotion places until early November, when they suffer a collapse in form - first failing to win in eight League and Cup matches in a row in November and December - going 518 minutes in the league without scoring, and then going on a run of six successive defeats in February. 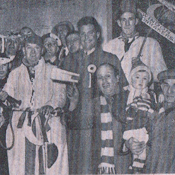 Nevertheless, the club's attendance record is broken when West Ham visit the County Ground in the FA Cup, with 28,582 watching a 3-1 defeat for the Town. Soon after, both transfer records are broken, when the board agree to sell Bobby Woodruff, one of Bert's original Babes, to Wolves for �35,000 - the day before the deal goes ahead, Head is allowed to spend �10,000 bringing Frank Large to the County Ground. Swindon win just three league games after the turn of the year, and they slump to 14th place - nevertheless, the highest finish in the club's history. Meanwhile, the youth team reach the final of the FA Youth Cup, where they are beaten 5-2 on aggregate by a George Best inspired Manchester United team. Forty-two years after League football first arrived at the County Ground, the wait for promotion is finally over - with Swindon finishing in second place. After a dodgy start which saw them pick up just one win in the first six games, the Town come good in the New Year, losing just four matches - a run sparked by a 5-0 win over Q.P.R., in which the Swindon team wore white basketball boots to counter the icy conditions. The Town topped the table at the start of April, but a stuttering month threatened to undo all their good work - but they remained unbeaten in the last six games to wrap it up. 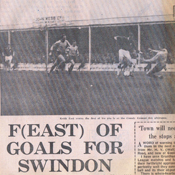 Promotion was finally assured on 14th May, when a late winner from Roger Smart handed the Town a 1-0 win over Shrewsbury, and Swindon could look forward to Second Division football for the first time in their history. A terrible start to the season scuppers any early plans for a promotion push - the Town lose five and draw five of their first ten games, and they still occupy a relegation spot in the middle of October. After an embarrassing reverse at the hands of Kettering in the cup, "Bert's Babes" begin to gel, and a 5-0 victory over Crystal Palace sparks a run of just four defeats between December and the end of the season - Swindon finishing in a respectable ninth position. With his youth policy gradually bringing players into the squad over the past couple of seasons, manager Bert Head holds a pre-season trial match, in which the "Probables", a team made up of the club's older players, play the "Possibles", the club's youngsters. The Possibles pull off a shock, winning 7-2, so Head decides to replay the game - this time behind closed doors, and despite telling the first-teamers that their places were on the line, the youngsters win again. Throughout the season, no fewer than eight players who were under the age of 20 at the time of the trial match make more than twenty league appearances - with John Trollope and Terry Wollen, both aged 17, becoming the youngest ever full-back partnership in the League's history. In the inaugural season of the League Cup competition, the Town finish 16th again - but hopes for the future are high. 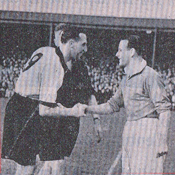 The club's transfer record is broken to bring Jimmy Gauld to the County Ground, for a fee of �6,000 from Plymouth. Despite this, the Town have another mediocre season, and are one of six clubs to finish on 46 points - though Swindon's inferior goal difference means they are placed last in that group, in 16th place. The average is not helped by a 6-1 defeat at Port Vale on the second last game of the season - a match which is later discovered to have been fixed - with Jimmy Gauld as the ringleader, Walter Bingley, Jack Fountain and Bronco Layne are also implicated. Gauld and Bingley are released at the end of the season - and Gauld, Fountain and Layne are jailed some years later for their involvement in the scandal. After the relative success of the previous season, Swindon make an unspectacular start in the new Division Three, ending in a mid-table position. Bert Head's youth policy begins to bear fruit though - Ernie Hunt becomes the youngest player to ever wear a Town shirt, and future captain Keith Morgan and Bobby Woodruff make their debuts. With the league structure being changed at the end of the season, Swindon are hot favourites to end up in the new Division Four - but they surprise everyone by finishing fourth - just three points off of Brighton's promotion spot - a team which the Town manage just one point against. Despite the disaster of the previous season, the board still don't appoint a manager, instead installing full-back Geoff Fox as a player/coach. A terrible start, losing five of the first six, finally changes their minds - though not many are interested in taking over a poor side with little money to spend. Eventually, Bert Head bravely accepts the position in October - by which time the Town are only separated from the bottom on goal average, and they remain in 23rd position for the rest of the season. The board make the decision to not appoint a new manager straightaway - instead preferring to pick the team themselves, with the input of the club's trainers. Despite a decent run in the cup, the league campaign is a disaster - with the Town suffering the ignominy of finishing bottom of the league for the first time in their history. They successfully apply for re-election, winning 42 votes compared to Peterborough's eight. The club sell some houses to provide Lindley with some transfer funding, and most of it is squandered on Matt Gemmell, who makes just eight league appearances. After only one away win all season, the Town finish even lower than last year, in 21st place - and Lindley is handed his notice in February, before his departure in April. Maurice Lindley is appointed as manager, but he is unable to make an immediate impact, as the Town end up with the same points total as the previous season, but finish two places lower for their lowest league finish to date. Swindon also suffer an embarrassing exit in the FA Cup, losing to Hastings 4-1 - the first defeat to non-league opposition in eighteen years. 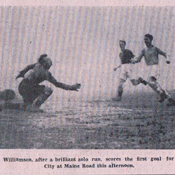 Despite the efforts of Maurice Owen, who bags 21 goals, the Town have another unsatisfactory season, ending up in 18th place, and being dumped out of the cup 7-0 by Manchester City. The club's record transfer sale is broken in November, when Northern Irish international goalkeeper Norman Uprichard is sold to Portsmouth for �9,000. After four years of steady decline, Louis Page is relieved of his managerial position. Another inconsistent season in the league sees the Town finish in 16th place - and they slump to their highest ever league defeat in the process, when they lose 9-0 at Torquay. Despite this, they go on another good cup run, getting to the Fifth Round, and the attendance record is also broken, when 28,140 turn up at the County Ground to see a 0-0 draw with First Division Stoke City. Not a single player in the side manages to get into double figures, and after a lowly league finish, five of the Town's forwards are placed on the transfer list. The Town board also accept a �14,000 bid from Norwich for star player Maurice Owen - but he rejects the move. On a brighter note, floodlights are installed at the County Ground, and 3,171 people turn up to watch the first floodlit game in April - a 2-1 friendly victory over Bristol City. The Town are hit by injuries - and at the turn of the year, nine players sit on the sidelines, including keeper Frank Boulton, who breaks his leg in a game at Notts County. As a result, the results suffer, and the Town finish 14th. At the end of the season, top scorer Morris Jones is sold to Crystal Palace, and a number of older players leave the club. An average start to the season sees the Town sitting in mid-table - but, spurred on by 25-goal Morris Jones, they lose just one game between Christmas and the end of the season. However, ten of those games are drawn, and the run isn't quite good enough for a promotion push, and Swindon finish up in fourth place. A disappointing League campaign, but the Town go on a great cup run - beating Ipswich and Aldershot, before being drawn away to second favourites Burnley in the Third Round. The Town cause a great upset, winning 2-0 at Turf Moor, and they continue their giant-killing antics in Round Four, seeing off Notts County. Unfortunately, the run ends in the next round, after defeat by Southampton. The first proper League programme since the War begins, and the Town do surprisingly well, finishing fourth in the table - albeit seventeen points from the promotion place. Twins Alf and Bill Stephens set some sort of record in September, when they both score in 4-1 win at Brighton, then they repeat the feat a week later in a 2-0 victory over Exeter at the County Ground. Bill ends the season on 27 goals - but his form is overshadowed by the arrival of youngster Maurice Owen, who averages nearly a goal a game following his arrival in January - including a hat-trick on his debut. 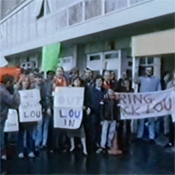 With the County Ground used as a POW camp, and the club virtually disbanded, the War affects Swindon more than most other clubs - so when football returns, they struggle to field a side. 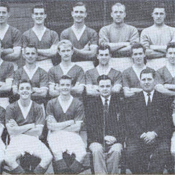 After Neil Harris' tragic death in 1940, Louis Page takes over as manager - and just as in 1940, many guests are used - a total of fifty players are utilised in the two main competitions - the unofficial Division Three (South) Southern Section, and the Division Three (South) Cup, which was played in a League format. The Town impress in neither, finishing sixth of eleven in the former, and ninth in the latter. Off the pitch, after more than fifty years of continuous service, the club's first secretary/manager, Sam Allen, sadly dies on New Year's Day - and reports of his funeral take up three columns in the Swindon Advertiser. Swansea manager Neil Harris takes over the reins, signing a two year deal - but just three games in, the Football League season is cancelled due to the outbreak of World War Two. The Town join the Wartime South West Regional League - fielding a hotch-potch of players, staff and guests throughout the season, as military call-ups decimate the squad. Harris himself even comes out of retirement to make up the numbers, and on one occasion, trainer Harry Martin, a winger retired nine years previously, keeps goal. In total, 46 players are used throughout the season, and though they start well, they lose nine and draw three of the final thirteen games of the season - the only victory coming on the final day, and the Town finish fifth of the eight competitors. At the end of the season, the War Department requisition the County Ground for use as a Prisoner of War camp - and the Town are effectively wound up for the duration of the war, selling most of their assets, and dispensing of the services of Harris until football is resumed. Tragically, Harris dies before the end of the year at the age of just 46, and three Town players - Alan Fowler, William Imrie and Dennis Olney - are killed in action. A new stand at the Hotel End (now Town End) of the pitch is opened before the start of the season - and the Town start well, in their newly numbered shirts - winning five of their first seven games to top the table at the end of September. Inconsistency then sets in, and the Town have a bizarre Christmas, beating Newport 8-0 at home on Boxing Day, before losing 6-4 in the return fixture the following day. They end up in ninth place, with Ben Morton exorcising the ghosts of the previous season with 32 league and cup goals. 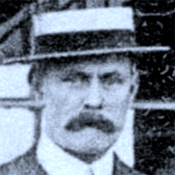 At the end of the season, manager Ted Vizard accepts an offer to take over at Q.P.R., and is allowed to leave the club. Vizard breaks the club's transfer record, buying Ben Morton from Torquay - Swindon's first ever �1000 purchase. Though he helps the Town overcome First Division Grimsby with a goal in the cup, it takes Morton seventeen games to register a goal in the league, and he ends the season with just five league goals. Nevertheless, the Town improve - and an unbeaten March sees the team in sixth place, just three points from the promotion spot, with a game in hand. 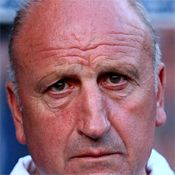 By the end of the season, the Town slump to finish in eighth place, having failed to win any of their last six games. 25 goals in 31 games from Jimmy Cookson helps the Town to score an impressive 75 in the league - more than second placed Notts County, and third placed Brighton. However, they only finish 13th, due to the 73 goals they concede at the opposite end of the pitch. A bad season - Swindon finish in a disappointing 19th position, losing 14 of their 21 away games. The FA Cup is another source of embarrassment, as the Town lose 3-1 to non-league Southall - the first time that they have lost to non-league opposition since they joined the League fifteen years previously. The improvement of the previous season is short-lived, as the Town slip down to 16th in the league - but manage a decent cup run, getting to the Fourth Round. Vizard's appointment brings about a turn in fortunes - despite the lack of funding, he does well in the transfer market - his best buy being Tommy Armstrong, who finishes as top scorer with 23 goals. Swindon finish 8th, and Vizard is rewarded at the end of the season with a new three year contract. The Town record their lowest ever league finish, a terrible 22nd - and they are forced to apply for re-election. They successfully retain their place in the League, winning 45 votes, compared to Newport's 26 and Llanelli's 20. Only four players are kept at the end of the season, and the legendary Harry Morris is allowed to leave for Clapton Orient - despite being top scorer for the past seven seasons, he is deemed too old, and is bizarrely replaced with 35 year old Cecil Blakemore. 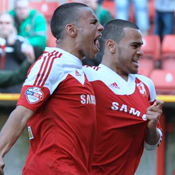 Morris end his Swindon career having scored 215 league goals, making him the Town's highest ever goalscorer. After the progressive slump, Sam Allen is relieved of his first team duties to concentrate on his secretarial role, and in April, former Welsh international Ted Vizard is appointed as the club's first manager in the modern sense of the word. Swindon again finish badly - losing seven of their last eight - and the last five matches are lost 3-0, 6-0, 4-1, 4-1 and 4-1. They finish 17th, their worst to date - and the cup isn't a relief either - the Town losing 5-0 in the first round at Luton. A slight improvement in the league, Swindon finishing 12th, despite winning just one of the last eight games. Norwich knock the Town out of the cup at the first hurdle. Harry Morris bags another 35 league goals. Harry Morris scores another 27 goals, including five in a game against Norwich, but Swindon finish 14th in the league - their lowest position to date. They also experience differing fortunes in the cup - after beating Manchester United at Old Trafford in the first round, they draw with Manchester City in round two. 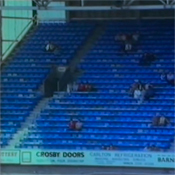 The replay at Maine Road is a disaster - the Town losing 10-1, for the biggest defeat in their history. In the league, Morris scores 26 as the Town slip down to tenth place - but the main action comes in the Cup, where Swindon knock out Newcastle and Burnley (in a replay) at the County Ground. They're unlucky to only draw 0-0 in the Third Round with Arsenal - but ex-Town player, and current Arsenal manager Herbert Chapman proves his tactical nous in the replay. Worried about the threat of Harry Morris, he employs defender Herbie Roberts to lie deep at the back, behind the main line of defence - and the sweeper role is born. Arsenal win the game 1-0, and they use the same tactics over the coming seasons, winning the league just two seasons later. A great start sees the Town win 6-0 against Coventry, with Morris scoring four - but their inconsistency soon shines through - after losing to Merthyr 8-2 in October, they beat Walsall 5-0 on the following Saturday. After just one win and two draws in their last eight games, the Town finish sixth, with Morris scoring 38 goals. Sam Allen pays Swansea �110 for striker Harry Morris - and he fits in immediately, scoring a hat-trick on his debut against Southend, and another one in his second game just two days later. 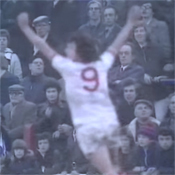 From the end of September through to the beginning of January, he scores 19 goals in 11 consecutive matches, including four in a game at Crystal Palace, and he becomes the first to score five in a league game, in a 6-2 win over Q.P.R.. His goals shoot Swindon up the table, and after the Christmas fixtures, they sit four points clear at the top of the table. They suffer a blow though, when Alec Wall breaks his leg - Swindon manage just six wins in the new year, and though they score 100 goals, they concede 85, and finish fifth. Morris ends the season on 48 league and cup goals - a Town record never likely to be broken. There is a change in the offside rule, only two players are required between the goalline and the first forward player - and the number of goals in the league increases considerably - 4,700 goals are scored in 1924/25, 6,373 are scored in the season after the rule change. 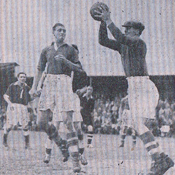 The main beneficiary for the Town is Frank Richardson, who scores 28 goals in 23 games - including ten in just four cup matches, when he bags four in the First Round against Farnham United Breweries, in a 10-1 win (Swindon's biggest ever cup win), then another four in the next round, when they beat Sittingbourne 7-0. With the Town not quite in the promotion race, Richardson is sold to Reading to help balance the books - and they end the season in sixth place. Inconsistency prevents the Town from challenging for promotion - they win their first ten home games, and drop just six points at the County Ground all season, but they fail score score in their first four away matches, and just three games are won away from home in the whole campaign. They end up fourth, six points from top spot. Danny Bew is signed to strengthen the defence, and the Town concede 14 fewer league goals - but this year, they don't score enough. They reach the cup quarter-finals though, where they are knocked out by Burnley. 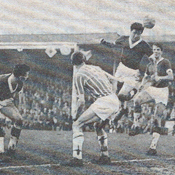 In the twilight of his career, Harold Fleming makes his final appearance, scoring in a 4-0 win over Brighton, and the Town finish up in sixth. Jack Johnson becomes the first Town player to score twenty goals in a season - but the Town concede too many to be competitive, going out of the cup at the first hurdle against Barnsley, and finishing in ninth place in the League. 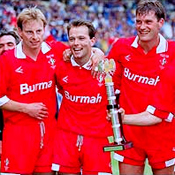 After it is decided that the Third Division gives the League a Southern bias, the Third Division (North) is born to run parallel with the Third Division (South) that Swindon compete in. They never really look like challenging for the top spot though, and they finish 6th - and after a win over Leeds in round one, they are beaten at home by Blackburn in the second round of the cup. All the members of the Southern League Division One are invited to join the Football League - and Swindon become founder members of the Third Division. They start amazingly - beating Luton 9-1 in their first league game, a result which still stands as the biggest ever League win. Following the new year fixtures, Swindon sit just a point behind leaders Southampton with a game in hand - and the club's record attendance is broken three times in January, and 21,261 see Chelsea knock the Town out of the FA Cup in the Second Round. Swindon still look like promotion candidates in early April - just six points behind Palace with three games in hand - but they score just four goals in their last eight games, winning just once, and they end up in fourth place. Friendly matches continue at the County Ground throughout the war, but there is one casualty - Freddy Wheatcroft killed in action leading his regiment into battle in France. With many of the team robbed of their best years by the war, the final Southern League campaign is a disappointment, with the Town finishing in 13th place. With no league competition, the Town continue playing friendly matches - but there is soon an appetite to return to competitive action, and a tournament is arranged for clubs in the Southern and Western clubs, that Swindon agree to join. Starting on New Year's Day, the Town fail to recover from losing their opening three games in the South Western Combination, and eventually finish second bottom, with their final match against bottom side Newport remaining unplayed. Despite the start of World War One, the Southern League programme goes ahead - and compared to the previous season, Swindon struggle. The highlight is a 6-0 win over Watford in April, when Archie Bown scores all six - a feat not managed by a Town player in a competitive first team game before or since. The Town eventually finish ninth, well short of retaining their crown - and football is suspended at the end of the season. Another rule change - this time decreeing that players should stand 10 yards from a free-kick. 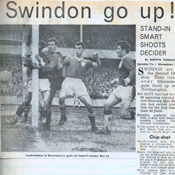 Swindon go straight to the top of the Southern League, winning their opening ten games, and a virtuoso goal from Harold Fleming knocks Manchester United out of the FA Cup. The Town's form falters though, and consecutive defeats by championship challengers Reading and Crystal Palace bring them right back into it - Reading eventually fall off the pace, and Swindon go into the last game of the season level on points with Palace. 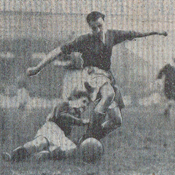 The Town scrape a lucky 0-0 draw at Cardiff, keeper Len Skiller keeping them in the game - and return home to find that Palace have also drawn at Gillingham - meaning that Swindon win the Shield by the narrowest of margins - a 1.98 goal average compared to Palace's 1.88. A rule change comes into effect - goalkeepers are no longer allowed to handle the ball outside the goal area. Before the start of the season, the Town embark on a tour of Argentina - setting sail just six weeks after the sinking of the Titanic. They play eight games in total, winning six and drawing two - beating teams such as Estudiantes de la Plata, and select sides from Argentina and Uruguay. When they get back, despite an injury-hit campaign, the Town manage to finish second, just two points behind champions Plymouth - but they go out of the cup in the third round at Sunderland. As Southern League champions, Swindon play the Football League winners Manchester United in the Charity Shield - and they are involved in the highest scoring Shield match ever, United striker Halse scoring a double hat-trick as they win 8-4. Swindon fail to retain their title, finishing fourth, but they reach the cup semi-finals for the second time in three years. After disposing of Sutton Junction and Notts County in rounds one and two, West Ham are thrashed 4-0 in a replay in round three, and Everton are dispatched in the quarter final, with the Town holding on to a 2-1 lead. 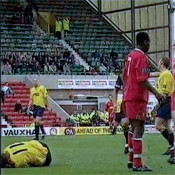 They meet a rough Barnsley side in the semi-final - Fleming in particular is literally kicked off the pitch, but the weak referee does nothing. The Town manage to draw 0-0 to take the game to a replay, but Fleming is sidelined for ten months, and misses the game. The replay is played at Meadow Lane, and the Town are handed a golden opportunity to take the lead, when they are awarded a penalty in the first half. 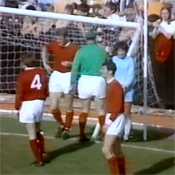 With regular penalty-taker Billy Tout unavailable, Archie Bown takes the kick, which is well saved - Barnsley go on to score in the second half, and they eventually beat the Town 1-0. The Town finally go one better - winning the Southern League championship for the first time. They seem set for the title after a game at fellow contenders Crystal Palace in early January - when, though they go 2-0 down in the first five minutes, they bounce back to lead 3-2 at half time, eventually running out 5-2 winners. Meanwhile, in the cup, the Town reach the quarter-final stage, when 78,000 cram into Stamford Bridge to see Chelsea win by two goals to nil.The championship is confirmed on 22nd April, when last year's winners Brighton come to the County Ground, and goals from Tout, Wheatcroft and Fleming secure a 3-0 win. 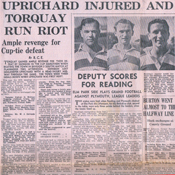 Two days later, they meet Brighton again in the Southern Charity Cup final - and when they draw 0-0, the game is rearranged, meaning that the two sides meet three times in five days. The Town complete their double, a goal from Archie Bown shortly before half-time taking the cup to Wiltshire. Billy Silto, Len Skiller and Freddy Wheatcroft all sign before the season start, and again they finish as runners-up despite scoring 96 goals - the highest total in the league, and 23 more than champions Brighton. The best action comes in the cup though, as the Town knock out Crystal Palace, Burnley, Tottenham and Manchester City on their way to the semi-final, where they meet Newcastle. The match is played at White Hart Lane, and after the first half ends goalless, Wheatcroft is presented with a golden opportunity - but he hits the post with a gaping goal in front of him. Just five minutes later, Newcastle score twice in quick succession, and the Town are knocked out. At the season's end, both losing semi-finalists are invited to compete for the Dubonnet Cup in Paris, and the Town meet Barnsley, who they beat 2-1 to bring the cup back to Swindon. A number of significant signings are made, and they result in further improvements on the pitch - Norwich are thrashed 10-2 in September, and Swindon achieve their highest ever Southern League position, ending as runners-up to Northampton. There is no progress in the cup though, as the Town are knocked out at the first hurdle by Plymouth. Future Swindon legend Harold Fleming arrives at the club - and when he scores twice on his reserve debut, he is thrust straight into the first team. 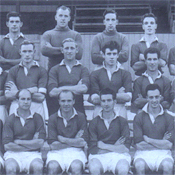 Jock Walker also signs from Rangers, and their effect is immediate - Fleming finishes as top scorer with seventeen goals, and the Town improve by 12 league places to finish fifth in the table. They also have their best ever run in the cup, getting to the Third Round, before being knocked out by Wolves. Billy Tout gets married on the last day of the season - but still manages to turn out for the Town in the afternoon, helping them to beat Q.P.R. by eight goals to three. After just one season in the United League, the Town decide to resign from it - the Southern League is increased from 18 to 20 teams, and the Town finish 17th. They don't qualify for the FA Cup either, Burslem Port Vale knocking Swindon out in their only qualifying match. 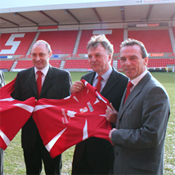 Swindon enter another league, and play in the United League as a secondary competition to the Southern League. They finally qualify for the proper competition of the FA Cup, for the first time since the qualifying competition is introduced. The adventure doesn't last long though, Brighton beating them 3-0 in their first First Round game since 1887. The league campaign is just as uninspiring, despite the arrival of Billy Tout, Swindon finish 15th, just four points off the bottom of the table. Despite the arrival of Freddy Wheatcroft, who features prominently over the coming decade, the Town slump back down the league, finishing 16th of 18. With no Test Matches, Wellingborough's terrible record is enough to keep them up. In the cup, the Town score one more than the previous year - winning 7-0 at Whiteheads of Weymouth, and a reserve team put eight past Longfleet St. Mary's, on the same day as the first team play Brentford in a Southern League fixture! They are still denied entry to the First Round proper though, as they are humbled 2-1 in the final qualifying round by Green Waves, an amateur team from Plymouth. Another slight improvement, the Town finish in mid-table, but still don't qualify for the cup. After scoring fourteen goals in the first two rounds, they go out to Plymouth in the fifth qualifying round. FIFA is formed in May. It�s the first season where the current pitch markings are used - and the Town improve slightly, finishing 12th, but well clear of the relegation spots. The best action comes in the FA Cup though, as Swindon thrash Chippenham (5-0), Yeovil Casuals (4-0), Poole (7-1) and Whiteheads (9-0) - but still they fail to qualify for the proper competition, when they are beaten by Barnsley in an Intermediate Round. After problems in obtaining the correct green dye for the club's shirts, the board decide to change to a new strip - and the Town appear for the first time in a dark red or maroon outfit. The change does them no good whatsoever - and they finish bottom of the Southern League, with a measly seven points from thirty games - and they are thrashed on numerous occasions, including a 10-1 reverse at Kettering. Surprisingly though, they manage to avoid relegation again, when they beat Fulham 3-1 in a Test Match. Swindon also finish bottom of the Western League, drawing two and losing fourteen of their sixteen games - and they decide to resign from the competition at the end of the season. After the good finish in the previous season, the Town suffer a huge slump - finishing second from bottom in the Southern League table, and last of all the teams who completed the season (Chatham Town resigned after ten games). They are forced into a Test Match against Brentford at Reading, and again luck plays it's part - with the score at 0-0, the game goes into extra time - and bad light stops play. Both teams are allowed to take their place in the Southern League Division One the following year. 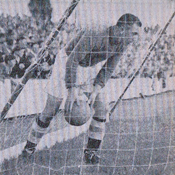 Goalkeeper Bob Menham scores a penalty in a 6-0 win over Staple Hill in the cup, but the Town still fail to qualify, thrashed 5-0 in the Fifth Qualifying Round by Bristol Rovers. The Western League campaign is a disaster as well - having been extended to nine teams, the Town finish ninth with just six points. The Town begin the new century with their highest finish to date, when they end up in fifth position in a seventeen team division. The Western League only has four teams, and Swindon finish third. After seven goals in eight games, Grenville Morris is sold to Nottingham Forest for �200. Tragedy also strikes the Town, when captain Jimmy Munro is struck down by spiral meningitis after a game against Tottenham on New Year's Eve, and he dies just days later. Despite this, Swindon go on to win their first league competition, when they win the Western League title - albeit in a division of just five teams. The Southern League campaign is not as successful though, but is an improvement on the previous year - finishing ninth of fourteen teams. The club's board decide a change is in order - and the club's colours are changed from black and red, to a new green strip with white arms. They also decide that the club should play more matches, and the Town join the Western League, and play in it alongside the Southern League matches. The move seems to have a detrimental effect to begin with - the Town finishing tenth out of twelve in the Southern League, narrowly avoiding relegation - but they finish as runners-up in the Western League. 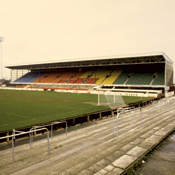 A loan from Thomas Arkell in October allows the club to build a stand, and they move to the current County Ground site. Swindon finish sixth - but again fail to qualify for the FA Cup - losing 8-2 at Southampton in the Fifth Qualifying Round. The "Prince of Inside Lefts", Grenville Morris, joins the club from Aberystwyth. After eleven years at the Croft, the Town move to the County Ground, playing on a pitch situated where the cricket pitch is now. Results improve slightly - and the Town finish seventh, one place outside the relegation Test Match positions. In one match, Alec Boggie scores five at Ilford, as the Town win 10-0 - their biggest competitive win to date. Swindon become founder members of the Southern League, which in effect is the South of England's answer to the Football League - of which Arsenal are the only southerly members. The club also turns professional. After just four wins in sixteen games, the Town finish bottom of the table - and are forced into a Test Match against New Brompton to save their First Division status. In a match played at Caversham in Reading, they are trounced 5-1, but they gain a reprieve when the league is extended to eleven clubs for the following season. In the FA Cup, Swindon reach the Fourth Qualifying Round, but Reading gain revenge for the previous season, when they win 2-0 at The Croft. The Town also enter the inaugural FA Amateur Cup, but they are soon dumped out by the Sherwood Foresters, an army team from Colchester who go on to reach the Semi-Finals. A 1-0 defeat at Marlow prevents the Town from qualifying for the FA Cup, after victories over Cowes, Warmley and Reading. The reserves win the Wiltshire Cup, beating Trowbridge Town in the final. Again, the first team and the reserves reach the final of the Wiltshire Cup, but there is no progress in the FA Cup - with Luton knocking the Town out at the first hurdle. Penalties are introduced, and a referee and linesmen replace umpires. By now, the Town are firmly established as the best team in the county - a fact confirmed in the Wiltshire Cup, when both the first team and the reserves reach the final. Maidenhead and Marlow are disposed of in the early qualifying rounds of the FA Cup, before the 93rd Highland Regiment thrash the Town 6-0 at Aldershot, to again prevent qualification for the proper tournament. Goal nets are used for the first time. Again the Town win the Wiltshire Cup, this time courtesy of a victory over Trowbridge Town - and again, they fail to qualify for the FA Cup after a 5-3 defeat at the hands of Watford Rovers. In a replay of the previous year's final, the Town beat Swindon Temperance again to retain the Wiltshire Cup for a third season. The FA introduce qualifying rounds to the FA Cup, and the Town fail to qualify - losing 5-2 at home to Marlow in the Second Qualifying Round. Meanwhile, twelve teams make up the first Football League, which is won by Preston North End. The Wiltshire Cup is retained after a victory over Swindon Temperance - but the Town fall at the first hurdle in the FA Cup - losing to Old Brightonians. The Town win their first trophy - the inaugural Wiltshire Cup, beating Trowbridge Town in the final. 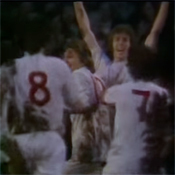 The club also enter the FA Cup for the first time, beating Watford Rovers in the first round, before being humiliated 7-1 by Swifts in the second. Another change in venue - this time to The Croft, where the club remain for eleven years. The teams changed in the nearby Fountain Inn, and tickets were purchased from a pigeon-hole in the Royal Oak Inn. After a young spectator falls down the quarry, the club make the short move to the Globe Field, situated under what is now Lansdown Road. 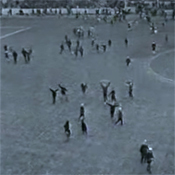 The first evidence of "Swindon Town Football Club" came in 1883, with the club using Spartans' pitch - J.E.G. Bradford's Field in Old Town. The pitch was next to a quarry, in which many balls were lost. The Spartans' match with St. Mark's Young Mens' Friendly Society in November 1881 ended in a 2-2 draw - and after the match, both sides agreed to merge under the name of "The Swindon Football Club". At some point, probably late in 1880 or early in 1881, Swindon AFC amalgamated with the Spartans Cricket Club - and Spartans was the name that the club continued with. Swindon Association Football Club was founded in 1879, by Reverend William Pitt.